Chinese White Tea made from youngest and most tender hand-picked buds which are also knows as “silver tips”. White Tea gets its name from these snowy & silver coloured brew which is produced using a minimal processing technique. With its luxurious tips and light coloured brew, it’s a favourite amongst the connoisseurs of tea. 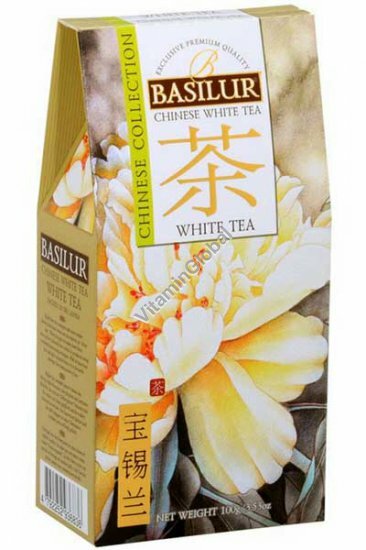 Ingredients: Chinese leafy white tea, no additives. Brewing instructions: Place one teaspoon of Chinese White Tea in a cup and add 80C/176F water. Let steep for 2-3 minutes. Add sweetener if desired.